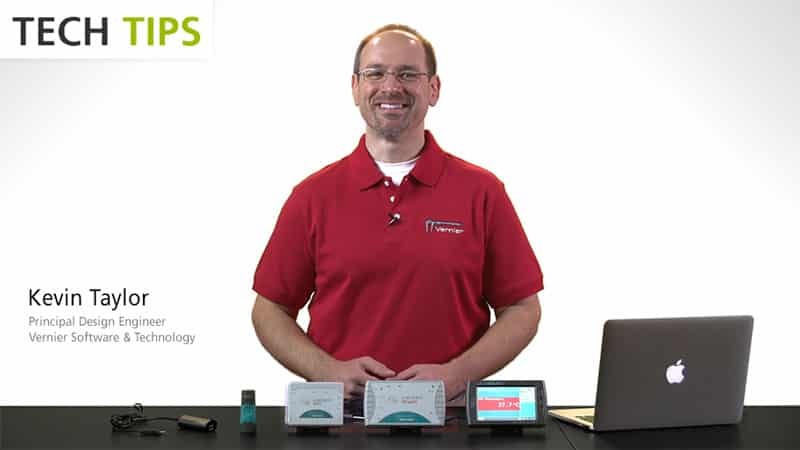 LabQuest Stream® is a multi-channel, data-collection interface that can be used to collect data from Vernier sensors on various platforms, such as iOS and Android™ devices, Windows® and macOS® computers, and Chromebook™ notebooks. LabQuest Stream supports both wired (USB) and Bluetooth® wireless technology connections. The type of connection you can use depends on the data-collection platform. The LabQuest Stream interface contains three analog ports (CH 1–CH 3), two digital ports (DIG 1 and DIG 2), a mini-USB connection, a power adapter port, and a serial power port (for use with the optional Charging Station). Note: Vernier products are designed for educational use. Our products are not designed, nor are they recommended, for any industrial, medical, or commercial process such as life support, patient diagnosis, control of a manufacturing process, or industrial testing of any kind. Remove the protective pull tab, which protects the battery, from the back of the unit. Charge for at least 8 hours. Install software appropriate for the data-collection platform you are using. Turn on LabQuest Stream and connect a supported sensor. The Power LED, , will glow green and the Bluetooth LED, , will flash blue. Connect the small end of the USB cable to the USB port on LabQuest Stream. Connect the other end of the cable to a USB port on your computer or Chromebook. The USB LED, will glow orange. Start the software. The USB LED will change to green and the Bluetooth LED will be off. You are now ready to continue your experiment. Launch Graphical Analysis 4 and tap Sensor Data Collection from the New Experiment list. Tap Connect a LabQuest Stream, then select your device from the list of discovered devices. The LabQuest Stream serial number, shown on the back label, is the device name. When connected, the Bluetooth LED will glow blue (no longer flashing). You are now ready to continue your experiment. Install Logger Pro software on your computer. Pair LabQuest Stream with your computer. The LabQuest Stream serial number, shown on the back label, is the device name. macOS: Open System Settings, navigate to the Bluetooth settings, and pair with LabQuest Stream. Windows: Open the Settings dialog for Windows, navigate to the Bluetooth settings, and pair with LabQuest Stream. Open Logger Pro, then from the Experiment menu, choose Connect Interface > Wireless LabQuest Stream > Scan for Wireless LabQuest Stream. Select your device from the list of discovered devices. When connected, the Bluetooth LED will glow blue (no longer flashing). You are now ready to continue your experiment. Wireless data collection with computers and Chromebooks running Graphical Analysis 4 is not yet available. Future software updates to Graphical Analysis 4 will support wireless data collection on these platforms. Note: There may be configurations that limit how much power is available from the USB port on a computer or Chromebook. Such configurations may include having other devices that require USB power connected to the computer or Chromebook at the same time. In these situations, we recommend you use the battery or AC power adapter to provide power to LabQuest Stream. Use the supplied AC adapter, USB cable, or optional Charging Station (order code LQ2-CRG) to charge the battery. The battery cannot be overcharged and can be safely recharged after a partial discharge. The Charging LED, , flashes red when the battery level is low. The LED is orange when the battery is charging and green when the battery is fully charged. For safety reasons, the charging circuitry on LabQuest Stream will turn off after about 10 hours, even if the battery is not fully charged. When this happens, the charging LED will glow red. To continue charging the battery, disconnect then immediately reconnect the power source. Note: LabQuest Stream will not charge while connected via USB to a computer or Chromebook that is in a suspended state. Press the power button located on the top of LabQuest Stream to turn the unit on. The Power LED, , will be green when the unit is on. Note that the unit will automatically turn on when it is connected to the USB port on a computer or Chromebook. Press and hold the power button for 3 seconds to turn the unit off. The Power LED, , will be off when the unit is off. LabQuest Stream will automatically turn off after 10 minutes when not connected to a Bluetooth or USB host. LabQuest Stream supports two types of sensors—analog and digital. Connect sensors to the appropriate port on LabQuest Stream. 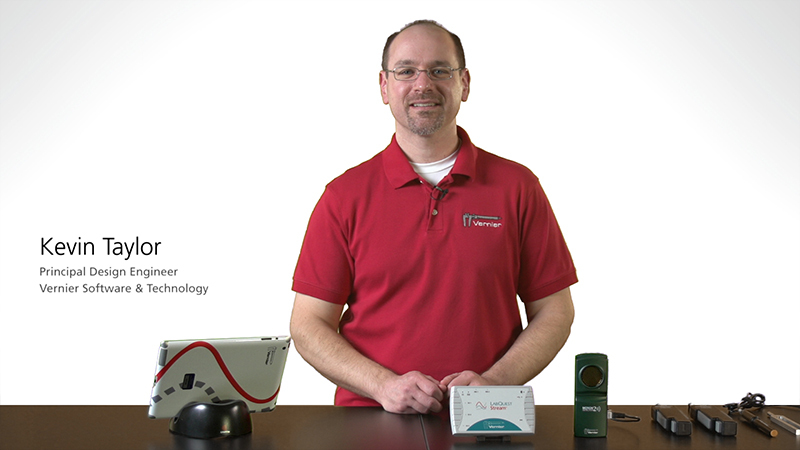 Analog sensor examples include temperature probes, pH sensors, and force sensors. Up to three analog sensors can be connected to LabQuest Stream. The three ports for analog sensors (CH 1–CH 3) are located on the left side of the unit. These ports accept British Telecom-style plugs with a right-hand connector. Digital sensor examples include motion detectors, photogates, and rotary motion sensors. Up to two digital sensors can be connected to LabQuest Stream. The two ports for digital sensors (DIG 1 and DIG 2) are located on the top side of the unit. These ports accept British Telecom-style plugs with a left-hand connector. Note: Most sensors will automatically identify allowing the software to set up a default experiment. If you are using a sensor that does not auto-ID, you will need to manually identify the sensor in the software (as supported). LabQuest Stream uses a high-quality lithium-ion battery. This is the same chemistry used in premium laptop and cell phone batteries, and you can expect similar performance. Use the supplied AC adapter, USB cable, or optional Charging Station (order code LQ2-CRG) to charge the battery. The battery takes 8 to 10 hours to fully charge. The battery cannot be overcharged, and it can be safely recharged after a partial discharge. It is safe to leave the battery charging indefinitely, and there is no need to fully discharge the battery before needing to charge it. The discharge time for a fully charged battery will depend on the sensors used. In most cases, you can obtain 24 or more hours of use before recharging. We recommend charging LabQuest Stream overnight to start the next day with a full charge. The long-term life of the battery will vary, but you can expect about 500 full charge/discharge cycles before the battery will need to be replaced. In this count, a charge from half charged to a full charge counts as half of a charge cycle. In typical school use, the battery can last three years or more. Exposure to temperatures over 35°C (95°F) will significantly reduce battery life. Use only the supplied battery for this device. Do not puncture or expose the battery to excessive heat or flame. Safe operating temperatures for LabQuest Stream are from 0°C to 45°C (32°F to 113°F). Storage temperatures are –30°C to 60°C (–22°F to 140°F). Exposures to low or high extreme temperatures will temporarily reduce the discharge time for a fully charged battery. Exposure to temperatures over 35°C (95°F) will significantly reduce long-term battery life. Avoid rapid temperature changes as condensation may form inside the device. Do not leave it in a car, as temperatures can exceed the maximum storage range. LabQuest Stream is not water resistant and should never be immersed in water. If water gets in the device, immediately remove the USB cable and turn the unit off by holding down the power button for at least 3 seconds. Disconnect all sensors and cables and remove the battery. Allow the unit to dry thoroughly before restarting it. Do not attempt to dry it using an external heat source. Do not store LabQuest Stream in a chemical closet or in areas of concentrated chemical gases. Safe storage temperatures are –30°C to 60°C (–22°F to 140°F). Exposing the battery to temperatures above 35°C (95°F) will reduce its lifespan. If possible, store LabQuest Stream in an area that is not exposed to temperature extremes. To store LabQuest Stream for extended periods of time, turn the unit off and remove the battery. Over several months, the battery will discharge but will not be damaged. After such storage, charge LabQuest Stream (a full charge can take 10 hours), and the unit will be ready for use. The LabQuest Stream interface is more than just a physical adapter between two different connectors. It is hardware that allows Vernier sensors to interact with computers, Chromebooks, and mobile devices. LabQuest Stream contains dedicated electronics for precise sampling of sensor events. LabQuest Stream timestamps these events so measurements from multiple sensors can be analyzed simultaneously. To allow data to flow smoothly, LabQuest Stream manages the communication link between the sensors and the computing platform. If you have followed the troubleshooting steps and are still having trouble with your LabQuest Stream, contact Vernier Technical Support at support@vernier.com or call 888-837-6437. Support specialists will work with you to determine if the unit needs to be sent in for repair. At that time, a Return Merchandise Authorization (RMA) number will be issued and instructions will be communicated on how to return the unit for repair. Vernier warrants this product to be free from defects in materials and workmanship for a period of five years from the date of shipment to the customer. This warranty does not cover damage to the products caused by abuse or improper use. This warranty covers educational institutions only. Vernier warrants this product to be free from defects in materials and workmanship for a period of one year from the date of shipment to the customer.